CLOSEOUTS. 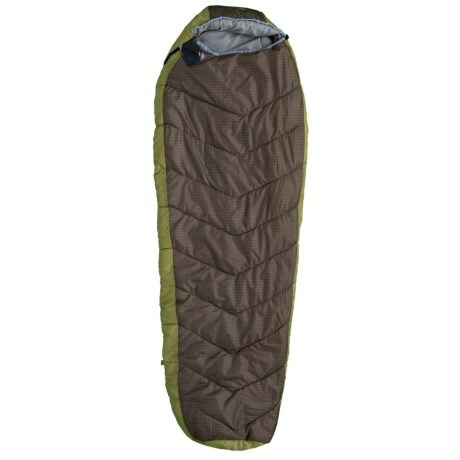 Rated for well-below-freezing temps, Suisse Sportand#39;s Alpine sleeping bag is an all-season superhero that seals in the heat with Micro-Tekk ZI insulation, a contoured hood, full chest baffle and draft tube. Available Colors: GRAY.